"In the Historic Northside Area "
St. Boniface is a Catholic Community that worships as one body. We come together under the teachings of Jesus Christ to strengthen the spiritual and personal growth of the community through education, outreach, and Christian values. Our history in the Northside neighborhood of Cincinnati dates back to 1853 when a modest church was built on Delany Street (originally Linn) not far from Blue Rock. 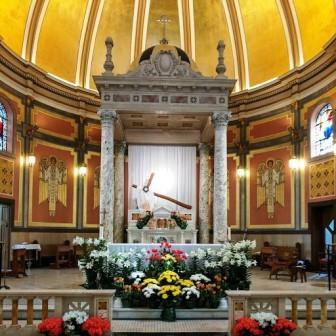 Tradition has it the new parish was named after the patron saint of a child in the neighborhood - Aloysius. By 1862 the church had already become too small for the congregation, and the decision was made to divide the parish and erect a new church. St. Aloysius became St. Patrick church, and St. Boniface was built on the corner of Blue Rock and Lakeman streets. In 1870 additional property was bought to add a school. However by 1921 this site became too small and the current property on the corner of Chase and Pitts Avenues was purchased. The current church and rectory were completed in 1927, and the school in 1933. 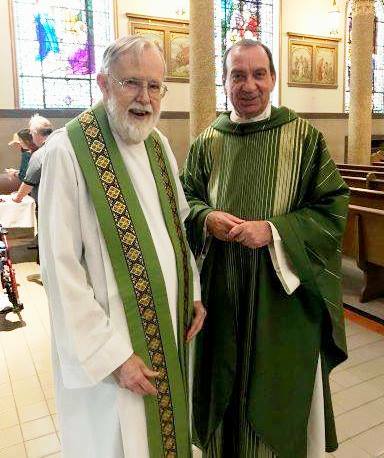 One hundred thirty years after the decision was made to divide St. Aloysius Parish, St. Boniface and St. Patrick were reunited. It was in December 1991 that the people of St. Patrick Parish closed its doors for the last time and processed behind the statue of their beloved patron to the doors of St. Boniface, where they were welcomed with open arms. Now we worship as one parish, and pray for the future of St. Boniface. MUSIC AT ST. BONIFACE: Next Sunday, April 28 the Psalm 150 Brass Ensemble will be joining us at the 10:00 AM Mass. PARISH PASTORAL COUNCIL will hold its election in May. The nominating committee is seeking candidates. If you are interested, please call Jenni in the Parish Office. One Faith, One Hope, One Love has a story about St. Boniface and the changing needs of the parish. Support St. Boniface when you shop with Amazon Smile.